Does Health Insurance Cover Rhinoplasty in Istanbul? Does Health Insurance Cover Rhinoplasty in Istanbul? - Does Insurance Pay For A Rhinoplasty in Istanbul? - How to Get Insurance to Pay For A Nose Job in Istanbul? - Will Health Insurance Cover Nose Surgery in Istanbul? 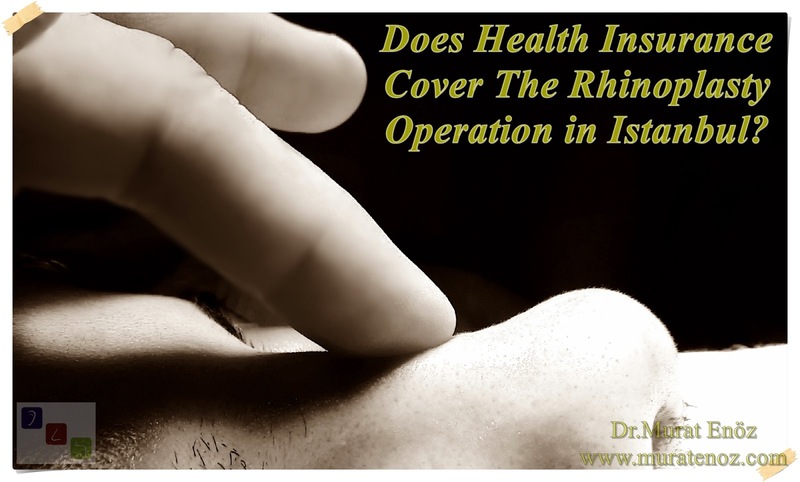 - Is The Rhinoplasty Operation Covered by Insurance in Istanbul? - Insurance Coverage for Functional Rhinoplasty in Istanbul - Will My Insurance Cover Revision Rhinoplastyin Istanbul? - Will Health Insurance Cover Rhinoplasty in Istanbul? - Does Health Insurance Cover Nose Aesthetic Surgery in Istanbul? - Does Health Insurance Cover The Rhinoplasty Operation in Turkey? Health insurance companies in Istanbul generally exclude all aesthetic surgical procedures. There are, however, health insurance companies that add the rhinoplasty operation at an additional cost to the cover of the health insurance policy. When rhinoplasty operation in Istanbul is performed with turbinate radiofrequency and septum deviation correction surgery (septoplasty operation) for functional nasal problems, these functional procedures are included in gender coverage. In this system, which is known as the "weighted bill payment system" and which is funded entirely by patients who are caused by aesthetic surgery applications, the amount that patients are required to pay is normally higher. Turkey's health insurance may sometimes want to see the nose lateral radiographs or photo nose of patients after nasal surgery (septoplasty only or turbinate radiofrequency writing, rhinoplasty operation in order to identify patients who do). If the rhinoplasty operation is concealed, there are different sanctions and judicial punishments. If surgery is to be performed using health insurance, a report on all surgical procedures must be written before and after surgery. Remember that all costs associated with the rhinoplasty operation will be paid by you. Before the functional nose surgery, the health insurer requires a detailed physical examination form, planned operations, and documents proving the patient's illness before the surgery in Turkey. That is, it appears that the planned nose operation was covered or not covered by the health insurance before the operation (preliminary approval of the provision). - If you are planning surgery for rhinoplasty in Istanbul and accompanying surgery for nasal obstruction or chronic sinusitis, getting a discounted surgery price from your physician before using health insurance may mean "less money" for you! Does Health Insurance Cover Nose Aesthetic Surgery in Istanbul?Does Health Insurance Cover Rhinoplasty in Istanbul? Does Insurance Pay For A Rhinoplasty in Istanbul?